The 1964 Buick Special was a complete departure from the 1963 model of the same name. Where the 1963 car had been a unibody compact car, the 1964 was a mid-size body-on-frame design with strong horizontal lines. Body styles for the 1964 Buick Special included 2-door and 4-door sedans, a 2-door convertible, and 4-door station wagon. As Buick’s base-level intermediate car, the 1964 Special was a fairly Spartan vehicle, without anything in the way of bling, and except for the convertible, lacking even the basic luxury of carpeting. Upholstery was all cloth, and standard features were limited to electric wipers, turn signals, ashtray, dome lights, and a step-on parking brake. The Special did have Buick’s typical trio of ventiports, on the fenders, however. Engine options included a 225-cid V-6 unit that was rated at 155 horsepower, and a 300-cid V-8 with 210 horsepower. There was also an improved engine option at 250 horsepower from the same 300-cid engine. The standard transmission was a 3-speed manual, with 4-speed manual and automatic options available. The Buick Special Deluxe was a separate line built on the same platform, featuring more creature comforts and more chrome trim in each year. Special Deluxe line cars were offered in 2-door and 4-door sedan and 4-door wagon only. For 1965, the Special got a bit of the coke bottle design that was sweeping GM during that era. The bodywork rose and swelled outward a bit behind the doors, giving the cars a more aggressive and sporty look. That motif got another boost in 1966, with more sculpting in the fenders. Also new for 1966, the Special 2-door sedan became a coupe. The other body style options continued. The V-6 engine received a boost to 160 horsepower, and an optional V-8 produced 260 horsepower. In 1967, the convertible was dropped from the Buick Special line, leaving only the 4-door sedan, 2-door coupe, and 4-door station wagon. All else about the Special remained the same as the 1966 model. 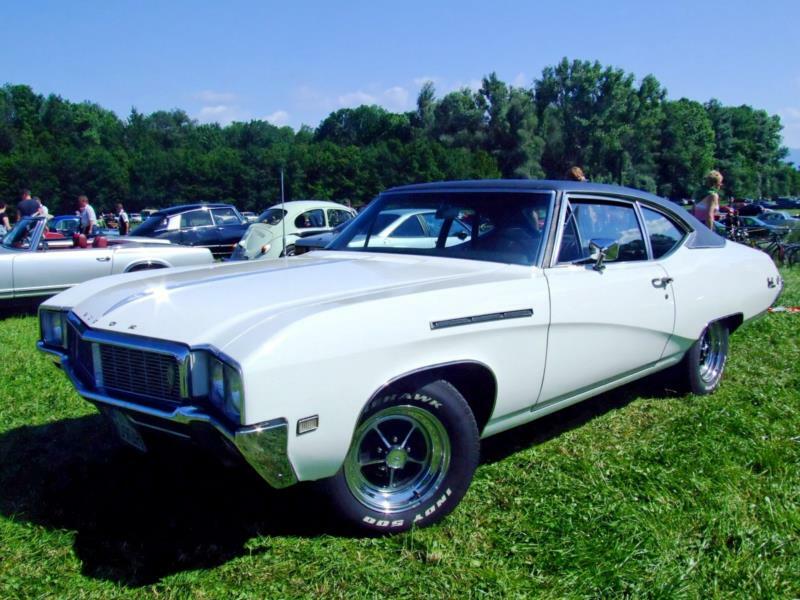 The 1968 brought model year brought an upgrade—all Buick Specials were now Special Deluxe in name and in features. These cars now received Buick’s trademark sweepspear side molding. The 6-cylinder engine was changed to an inline design, with 155 horsepower from 250 cubic inches of displacement. The V-8 option now displaced 350 cubic inches and produced 230 horsepower. No further changes were made for the final year of this generation in 1969. Collectors will want to seek out Special Deluxe editions with a good optional feature set, including the 4-speed manual transmission and uprated V-8 engines with four-barrel carburetor. Note that the popular California GS models were built using the same model number as the Special, featuring upgraded trim and engine options.